Greet your garden visitors with a classic welcoming gnome! Standing 20" tall, this garden gnome with welcome sign will fit perfect at your front door or in your garden. 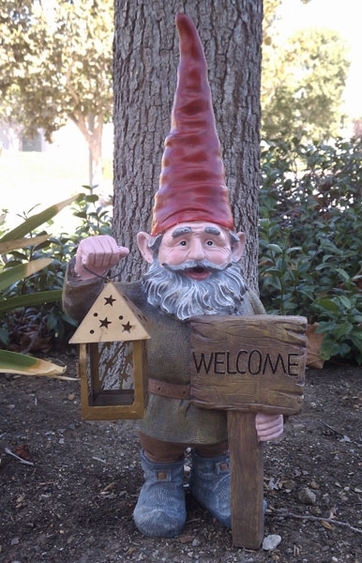 We've taken one of our most popular Rumple Gnome designs and fitted him to welcome all your guests! Cast-resin, hand painted, completely adorable.